Xu N, Cui Y, Gao Z. Bilateral congenital venous tortuosity and dilatation combined with cilioretinal artery: A photographic essay. Int Med Case Rep J 2016;9:91-3. Padhi TR, Kesarwani S, Jalali S. Bietti crystalline retinal dystrophy with subfoveal neurosensory detachment and congenital tortuosity of retinal vessels: Case report. Doc Ophthalmol 2011;12:199-206. Awan KJ. 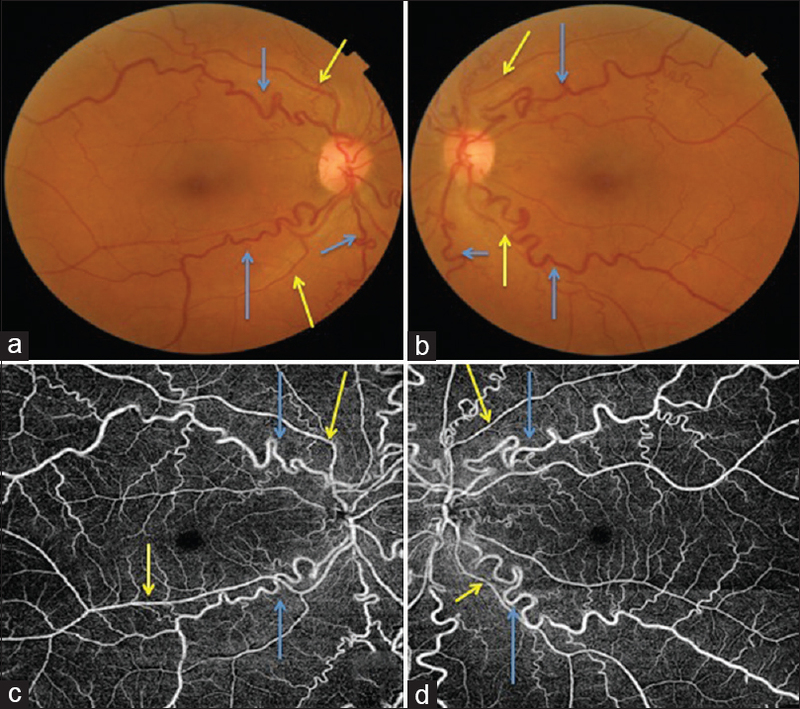 Anomalies of the retinal veins and their incidence. J Pediatr Ophthalmol 1976;13:353-9. Xu M, Lv PL. Clinical characters and classifications of the congenital retinal vascular anomalies. Int J Ophthalmol 2011;11:528-30.